In his first State of the Union address, Trump said his administration will work to fix bad trade deals and negotiate new ones to protect American workers. 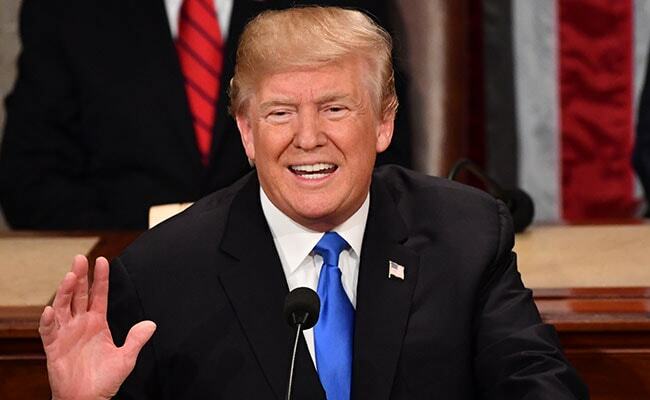 Washington, United States: In a stern warning to countries like China, President Donald Trump Wednesday said the era of America's "economic surrender" is over and the US is seeking to enter into new trade agreements with nations that commit to fair and reciprocal trade. "We will protect American workers and American intellectual property, through strong enforcement of our trade rules, he said. "The era of economic surrender is over. From now on, we expect trading relationships to be fair and to be reciprocal. We will work to fix bad trade deals and negotiate new ones, Trump said. Trump had earlier criticised the one-sided and unfair trade relationship between the US and China and asserted that America must address the unfair trade practices that drive the trade deficit. Trump said his economic policies is resulting in new confidence in the country. "Since the election, we have created 2.4 million new jobs, including 200,000 new jobs in manufacturing alone. After years of wage stagnation, we are finally seeing rising wages, he said. "Unemployment claims have hit a 45-year low. African- American unemployment stands at the lowest rate ever recorded, and Hispanic American unemployment has also reached the lowest levels in history," he said. "Small business confidence is at an all-time high. The stock market has smashed one record after another, gaining USD 8 trillion in value. That is great news for Americans' 401k, retirement, pension, and college savings accounts, he said. Referring to his tax cuts and reforms, Trump said the massive tax cuts provide tremendous relief for the middle class and small businesses. "To lower tax rates for hardworking Americans, we nearly doubled the standard deduction for everyone. Now, the first USD 24,000 earned by a married couple is completely tax-free. We also doubled the child tax credit. A typical family of four making USD 75,000 will see their tax bill reduced by USD 2,000 -- slashing their tax bill in half, he said. Trump said he slashed the business tax rate from 35 per cent all the way down to 21 per cent, so American companies can compete and win against anyone in the world. These changes alone are estimated to increase average family income by more than USD 4,000. Small businesses have also received a massive tax cut, and can now deduct 20 per cent of their business income, he said. Since we passed tax cuts, roughly 3 million workers have already gotten tax cut bonuses -- many of them thousands of dollars per worker. Apple has just announced it plans to invest a total of $350 billion in America, and hire another 20,000 workers, said the president as he described this as a "new American moment". "There has never been a better time to start living the American Dream, he said. Trump said in his drive to make Washington accountable, his administration has eliminated more regulations in the first year than any administration in history. We have ended the war on American Energy -- and we have ended the war on clean coal. We are now an exporter of energy to the world, he said. He said many car companies are now building and expanding plants in the United States -- something not seen for decades. Chrysler is moving a major plant from Mexico to Michigan; Toyota and Mazda are opening up a plant in Alabama. "Soon, plants will be opening up all over the country. This is all news Americans are unaccustomed to hearing -- for many years, companies and jobs were only leaving us. But now they are coming back, he said. Noting that "exciting progress" is happening every day, he said to speed access to breakthrough cures and affordable generic drugs, last year the FDA approved more new and generic drugs and medical devices than ever before in the history. "We also believe that patients with terminal conditions should have access to experimental treatments that could potentially save their lives. "People who are terminally ill should not have to go from country to country to seek a cure -- I want to give them a chance right here at home. It is time for the Congress to give these wonderful Americans the "right to try. ", he said. "One of my greatest priorities is to reduce the price of prescription drugs. In many other countries, these drugs cost far less than what we pay in the United States. That is why I have directed my Administration to make fixing the injustice of high drug prices one of our top priorities. Prices will come down, he said.